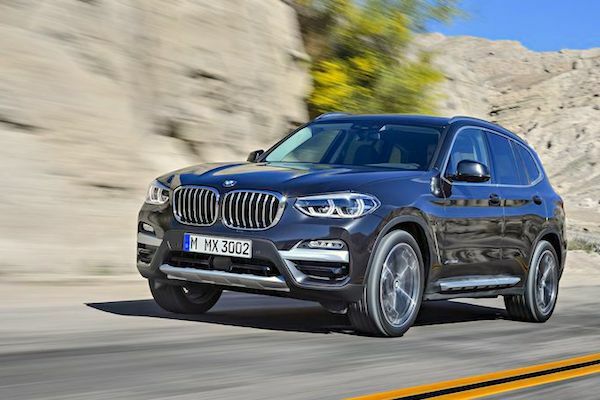 The BMW X3 is up 5-fold year-on-year to land at #8. According to data released by JATO Dynamics, new car sales in Luxembourg gain 5.9% in January to 4.349 units. The VW Golf remains faraway leader with deliveries up a fantastic 29% year-on-year to 4.6% share, the only nameplate above 2% share. The Skoda Octavia (+45%) and VW Tiguan (-15%) follow on the podium while the Mercedes C-Class surges 38% to #4 and the Mercedes GLC is up 3% to #5. Premium carmaker BMW manages to place three nameplates in the Top 8: the 1 Series (+38%) at #6, the X1 (-20%) at #7 and the recently renewed X3 (+400%) at #8. The Fiat 500 (+89%) and Peugeot 308 (+22%) also make themselves noticed. Full January 2018 Top 10 models ranking below.